What? Camouflage that is feminine, surely you jest. I couldn't believe my eyes when I came across this skirt. I've been wanting to wear camo for some time, but it's such a distinctive print that usually can only be worn one way. 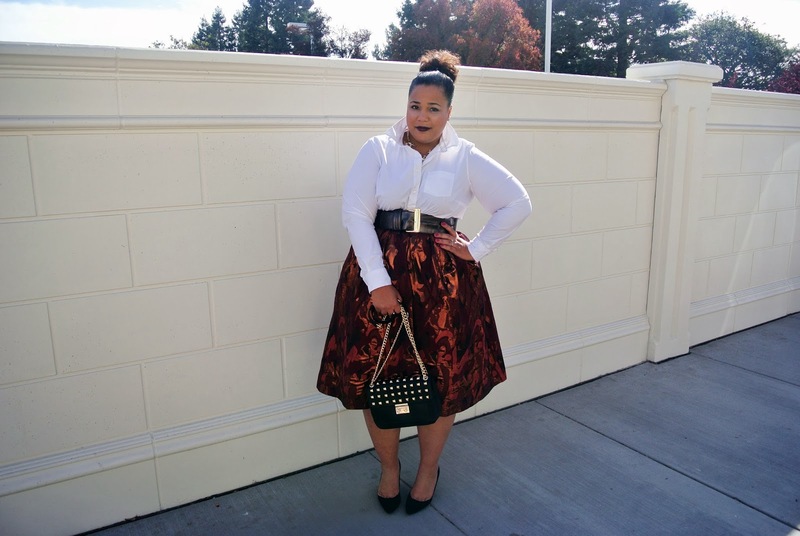 This skirt is feminine and rich, but yet lets you rock this hard trend. I think it's a perfect skirt for a holiday party, as well. It has that deep red/oxblood feel with gold undertones. You could easily add in different top options and be Christmas party perfect. 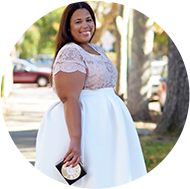 Style Note: This skirt is from the ASOS' regular sizes. There is no stretch, but as you can see it has a good flare on it. Also, I know I'm killing this Black Cherry, but it's my new favorite fall lipstick. I can't get enough of it. Yesterday I also did another turban tying video, you can check it here. Bag is courtesy of Galian via Luckyfabb. Oh wow!! This look is totally fab!! 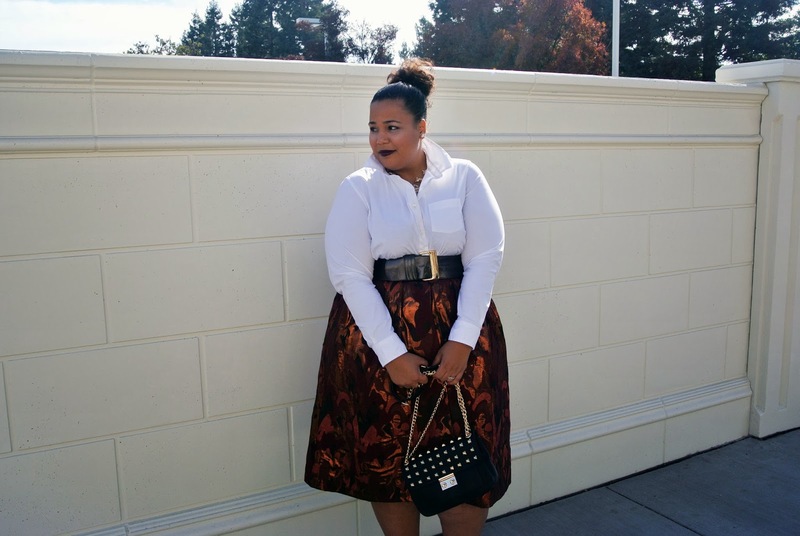 The skirt gives to the whole outfit the right pop of color. 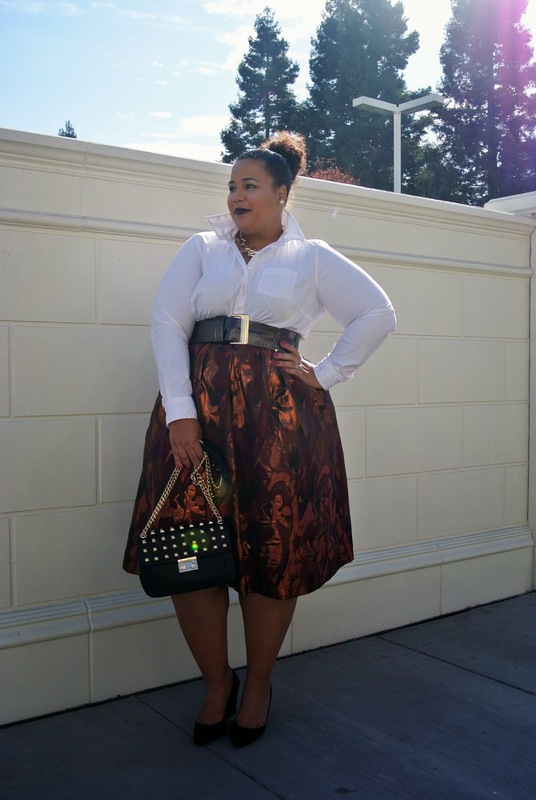 omg that skirt is just everything! i am loving the print, color and texture of it! certainly a stunner! Beautiful skirt and the lips, wow. Very nice classic look. So elegant.